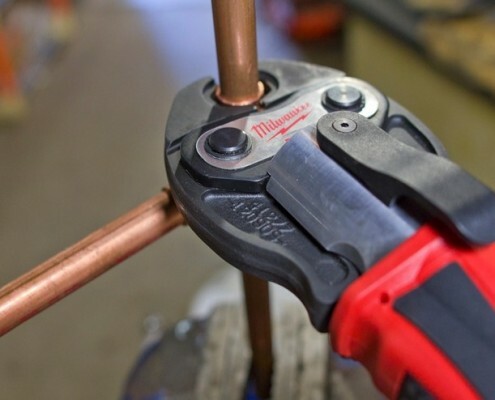 Precision Plumbing service homes and businesses in Greensborough and other North Eastern suburbs of Melbourne. Ben and his team at Precision Plumbing understand that your plumbing emergency does not always conveniently time itself to occur during business hours! That’s why we are available 24 hours a day, 7 days a week. Contact Ben at any time on 0421 134 184. Precision Plumbing use modern CCTV drain cameras to assist in identifying issues quickly and accurately. This ensures that your plumbing problem is rectified in the shortest possible time and with minimal inconvenience. If you find yourself with a burst pipe, the first step is to locate the mains water and turn it off. The second step is to call Ben and the team at Precision Plumbing on 0421 134 184 and we’ll do the rest! We all love a nice hot shower and understand that when your hot water system is in need of repair or replacement, you want it done as quickly and painlessly as possible. Precision Plumbing will repair or replace your hot water unit at a competitive, set price and have you enjoying that hot shower again in no time!